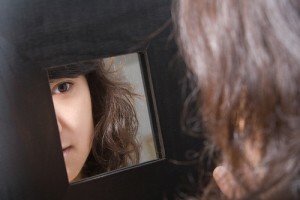 What do you see when you look in the mirror? If you’re seeing the negative, you need a new mirror! Or a new frame of mind. Glamour magazine recently asked some lovely ladies what they see when they gaze upon the looking glass. And while we all have flaws, these women celebrate their best features. Look closely and you might even find an FBG! What are your favorite features? You’re the fairest of them all!